Flutes don’t give you room to sniff, which is part of the fun. Smelt likes to use white wine glasses. As we find ourselves in the middle of another holiday season, schlepping trees into our living rooms and spending an unnatural amount of time with family, chances are we’re going to get pretty thirsty. 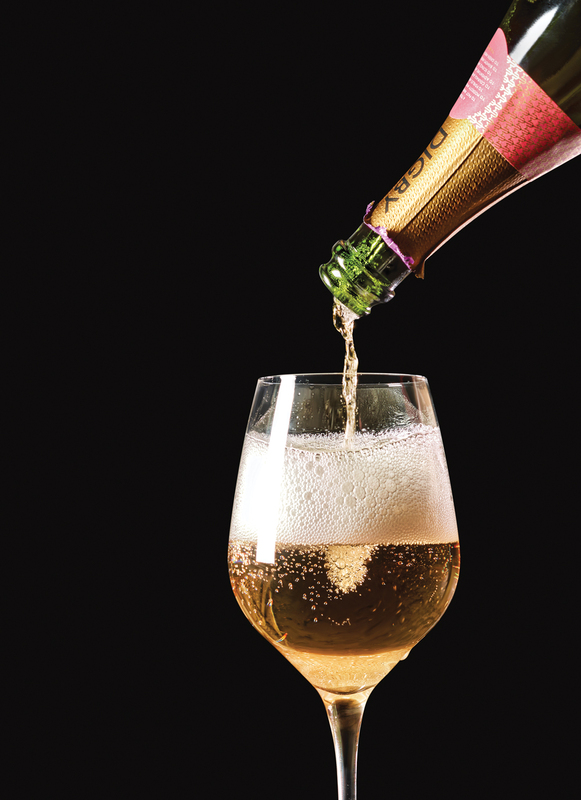 The celebratory yet stressful nature of the season calls for one quencher: bubbly. The good thing is that there are options; these days, you can find world-class sparkling wines from all across the globe. The bad news: Finding the right bottle can be pretty intimidating. I’m here to help. Too often drowned in orange juice at brunch, these wines—which hail from Italy and Spain, respectively—more than make up for their relative lack of pedigree with approachability and affordability. Look for Le Vigne di Alice, Albet i Noya, Naveran, and Racaredo. Champagne is still king, and while a bottle from Krug, Bollinger, or Ruinart is a great choice, try grower Champagnes. This is how the wine world refers to the makers who farm their own grapes. (The vast majority of big Champagne houses purchase their fruit from a multitude of growers.) Find character and originality in bottles from Egly-Ouriet, Vilmart & Cie, Pierre Peters, and Françoise Bedel. An up-and-coming generation of winemakers is challenging the traditional geographic and varietal-specific boundaries that have defined world-class sparkling wines. In Sussex, Digby Fine English is making the best brut rosé north of Champagne. Dirty & Rowdy produces a zesty, mineral Pinot Blanc from the Sierra Foothills of California. Also in California, check out Donkey & Goat’s superb Chardonnay. And if you like German Riesling, try the bubbly version from Peter Jakob Kühn in the Rheingau. Jordan Smelt is the sommelier at Cakes & Ale in Decatur and Bread & Butterfly in Inman Park.